Raku is a style of pottery firing which involves quickly heating wares in a kiln normally fired outdoors. 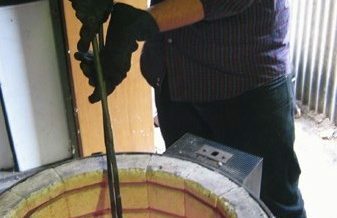 Traditionally kilns were fuelled by split wood or coal, but many Potters today use Propane Gas, as the temperature can be controlled more easily. Shaun works with copper matt fumed Raku, this is an erratic and unique technique which is notoriously difficult to master. This is also part of its’ elusive charm, ensuring that each pot is a unique piece. His work is sculptural in form, and developed from the Jug shape which was his take on the still life- and became a sort of totemic or non-functional form. 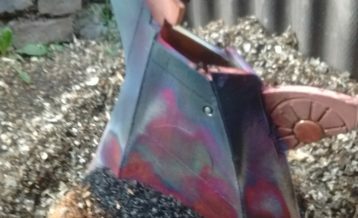 Shaun has been working primarily in raku fired ceramic since 1998. He has exhibited with amongst others, Handmade in Britain and Art in Clay and sold his graduate work to Selfridges. 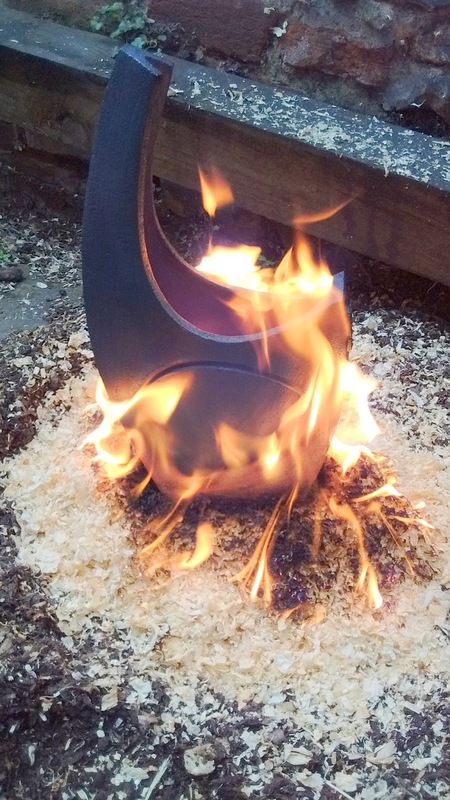 Shaun’s work can be seen in galleries around England and Wales, and he continues to pursue the spontaneity of Raku. Looking to the future he is investigating stoneware and volcanic textural surfaces.